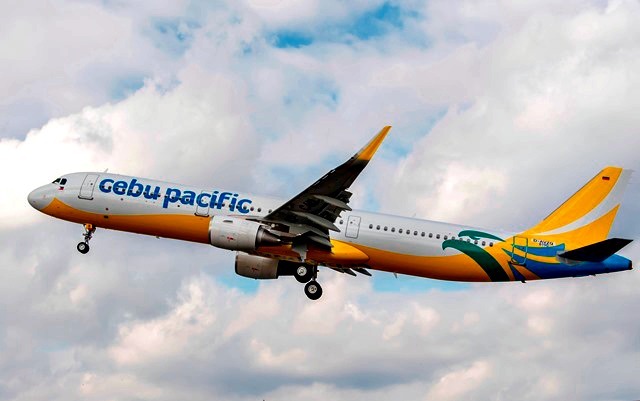 The Philippines' leading budget carrier, Cebu Pacific, receives the first of its 39 A321 aircraft—ushering the entry of a new Airbus model into its fleet. The Airbus A321 is an efficient single-aisle jetliner, the longest and widest among all single-aisle aircraft. The A321CEOs of Cebu Pacific boasts of seats made be world-renowned seat manufacturer Recaro. The seats are ergonomically designed, with an angled backrest. Its innovative design allows for more distance and legroom between seat rows. The new seats are 40% also lighter than conventional economy-class seat models. Coupled with increased cabin space, the A321CEOs of Cebu Pacific can easily accommodate 50 additional seats, bringing total passenger capacity to 230. The additional seating capacity will help further lower unit seat costs enabling CEB to pass on the benefits through lower fares to its customers. The new aircraft supports Cebu Pacific's expansion plans across the region, further boosting a network that now spans over 100 routes on 37 domestic and 26 international destinations. Cebu Pacific's now 62-fleet is one of the most modern in the world, comprised of 1 Airbus A321ceo, 36 Airbus A320, 8 Airbus A330, 8 ATR 72-500, and 9 ATR 72-600. Cebu Pacific commenced operation of flights between Manila and Basco, Batanes on March 25, 2018. Initially on commercial run until October 27, 2018, CEB flies direct between Manila and Basco daily. The flight, operated by subsidiary Cebgo, utilizes the ATR fleet of inter-island aircraft of Cebu Pacific. With its picturesque hills and beaches, Batanes is on many Filipino's bucket list. The smallest and northernmost province is called the "paradise of the north" with islands created by volcanic activities and other geologic forces millions of years ago.